Are probiotics good for kids? What research says about Culturelle, Florastor, and others. Should Your Kids Take Probiotics? Sure, there can be benefits to boosting the body’s good bacteria, but the choices are not obvious. Here’s what parents need to know. What the hell are Lactobacillus anyway, and why does one small tub of them cost $28? Probiotics are becoming immensely popular: Americans spent $1.4 billion on them last year, almost triple what we spent on them five years ago. Many brands are marketed specifically for kids. After my baffling purchasing experience (I ended up buying a brand an employee recommended), I continued to wonder about what I had bought and was feeding my daughter. Was it worth the hefty price? What kind of benefits would it provide? And if I wanted to buy more, how could I pick the right kind on my own? There’s good reason to think probiotics could be useful for kids. A child’s microbiome—the complete collection of commensal microorganisms that live on and inside her body—starts to develop when she is in the womb and solidifies during infancy and early childhood. These bacteria help to digest food and synthesize vitamins; they also shape the development of the intestinal mucosal defense system, a complex immune network that helps to ward off infection and disease. A number of conditions—including allergies, asthma, Type 1 diabetes, and autoimmune diseases—have been linked to problems within this system, which suggests that an out-of-whack microbiome in childhood could affect one’s health throughout life. It’s actually a challenge to find a disease that hasn’t been connected in some way to the microbiome. But knowing that the microbiome is important for our kids’ health and knowing how to enhance it are two very different things. The latter requires a much deeper level of scientific understanding—one that, as yet, we don’t really have. The one thing scientists do know about the microbiome is that its workings are incredibly complex. And while your kid might stand to benefit from a bacterial boost, it’s tough to know what microbes she needs right now, in what amounts, and for how long. So no, you can’t just walk into a health food store as I did, pick a perfect product, give some to your kid every day and expect it to stave off illness, because “there’s not a universal probiotic that improves health,” explains Allan Walker, founder of the Mucosal Immunology and Biology Research Center at Massachusetts General Hospital. That said, it may be possible to find a probiotic to help in particular situations. First, clinical studies have shown that certain probiotics can shorten the duration of diarrhea associated with stomach viruses—specifically, studies suggest that they can make the diarrhea dissipate about 25 hours sooner, shaving off one-third of the misery. (Diarrhea from stomach bugs typically lasts about three days.) The bugs that have been shown to work in this situation include Lactobacillus GG, which is found in the product Culturelle (when given at 1010 Colony Forming Units per day—CFUs are a measure of probiotic dose) and the yeast Saccharomyces boulardii, which you can find in the product Florastor, given at a dose of 250 milligrams per day. Probiotics have also been shown to halve the chance that a child on antibiotics will suffer diarrhea. It’s unclear which probiotic strains work best in this case, because many trials have tested mixtures of probiotics, but Lactobacillus GG and S. boulardii are again among those that show promise, especially at doses above 5 billion CFUs per day. Among underweight and premature babies, probiotics can also reduce the risk of a potentially deadly intestinal condition called necrotizing enterocolitis. Another condition that probiotics could help with is colic, which some researchers posit is tied to gastrointestinal problems. When researchers in a 2014 clinical trial gave 276 healthy newborns five drops (equivalent to 100 million bacterial cells) per day of the bacteria that comprise Gerber Soothe Colic Drops, the babies cried about half as long each day and regurgitated fewer times than the 278 babies who weren’t given the drops. They also had fewer emergency room visits for colic-related issues. Another study found, however, that this probiotic did not reduce crying time in infants who already had colic. It’s unclear why this discrepancy exists. It makes sense that probiotics could help with tummy problems—the bugs set up shop in the gut, after all. But some research suggests that they could prevent respiratory infections in kids, too. A 2015 meta-analysis of 12 trials, seven of which focused on children, found that probiotics including Lactobacillus GG halved the risk of upper respiratory tract infections and reduced the number of children who would require antibiotics as a result of these infections by about one-third. Most of the kids enrolled in these studies went to daycare or child care centers, where infection risk is high. But again: The trials in these reviews tested different probiotics, so it’s hard to know which one and which dose work best. Because details are so hazy, many doctors don’t recommend the routine use of probiotics to prevent respiratory infections. Allergic diseases are another promising but tricky area. According to the “hygiene hypothesis,” allergy, asthma, and autoimmune disease rates have been growing in developed countries in part because children are being exposed to fewer of the right kinds of good bacteria early in life. The shift in exposure is thought to be due to ongoing lifestyle and environmental changes: improved sanitation, reduced exposure to bacteria-carrying livestock, increases in cesarean-section rates, and antibiotic use, among other things. (Babies swallow microbes on their way out of the birth canal, an experience they don’t get when they are born surgically—although they may get some microbial exposure if mom’s membranes break before surgery, as often happens in emergency C-sections.) Research does suggest that kids who grow up on farms have a low risk of some allergic diseases and that kids who are born via C-section or who get antibiotics early in life are at a higher risk. Without the microbes needed to guide proper immune development, the thinking goes, kids’ immune systems begin to misguidedly attack innocuous environmental substances such as peanuts, ragweed, and pollen. This theory is not universally accepted, but it has garnered support in recent years. The obvious follow-up question is whether probiotics could fix that problem by restoring proper microbial balance. Right now, we don’t have an answer, because research on the issue is still in its infancy. Studies have shown that probiotics can reduce the risk of eczema in babies, but they have not yet found that probiotics prevent other allergic diseases, such as asthma and food allergies. This may be because studies have not yet assessed the right types of kids—they haven’t specifically tested whether probiotics can reduce allergy risk in babies born by C-section or those given antibiotics, for instance—but the point is that for now, there’s little evidence to support giving kids probiotics to prevent allergies. Even so, Walker, the doctor at Massachusetts General Hospital, made sure that his own C-section–born grandchildren took Culturelle as babies. 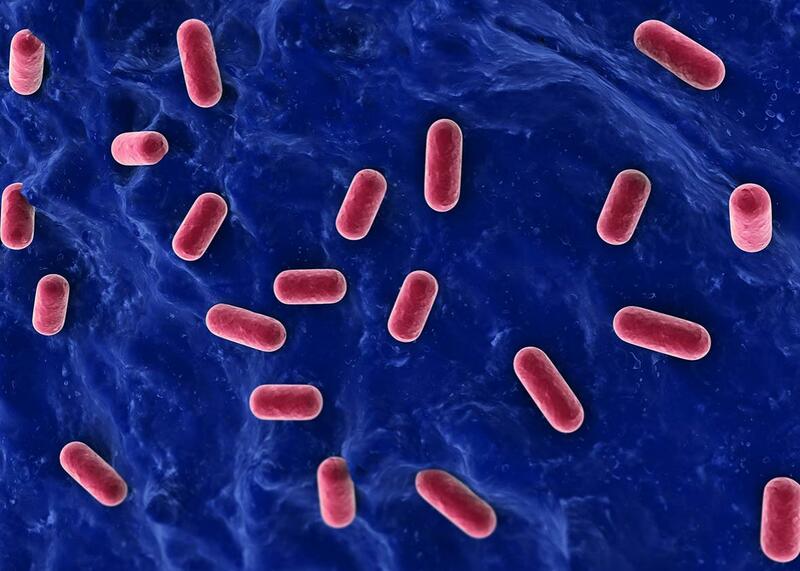 It’s important to note, too, that probiotics aren’t risk-free. Although they rarely cause side effects, probiotics typically should not be given to cancer patients or to children who have serious underlying conditions, because probiotics can, in weakened hosts, become opportunistic pathogens and actually cause illness. If you’re unsure whether your kid might be better off without them, talk to a doctor. Also, since probiotics are typically regulated by the U.S. Food and Drug Administration as dietary supplements for healthy people, they aren’t always subject to the careful oversight that drugs are—hence the problems uncovered a few weeks ago by ConsumerLab.com, an independent lab that tests health and nutrition products to make sure they stand up to their claims. Its investigation found that two popular probiotic products contained about half as many live microbes as the labels claimed. The offenders: Essential Formulas Dr. Ohhira’s Probiotics and Jamieson Probiotic. Neither of these, though, is marketed specifically for children. By the way, if your reaction to all this is whatevs, I’ll just feed my kids yogurt, you should know that Sonia Michail, a pediatric gastroenterologist at Children’s Hospital Los Angeles, told me that although it can be healthy, yogurt is “not a consistent or reliable source for probiotics.” Even if yogurt leaves the factory teeming with bacteria, the low pH of the mixture may kill them: A 2010 study found that after 10 days in the fridge, 70 percent of the probiotics in various types of yogurt had died. Indeed, while many yogurt brands tout that they contain “live active cultures,” they generally don’t say how many are there, and research suggests that foods need to provide between 106 to 108 live cultures per gram—that’s a massive amount—to have a beneficial effect. Dannon claims that its Activia yogurt, which contains a probiotic with the clunky name Bifidobacterium animalis lactis DN-173 010 (again, who knows in what amounts, as nothing is specified on the label), is specially formulated to have a longer shelf life and that it “may help reduce the frequency of minor digestive issues like bloating, gas, discomfort and rumbling, when consumed twice per day for four weeks as part of a balanced diet and healthy lifestyle.” But the company was forced to pay $35 million in damages after settling a class-action lawsuit in 2010 for false advertising of Activia and DanActive. And the few published studies that have investigated how this probiotic affects children have not been very successful. A 2010 study found that 1- to 3-year-olds who ate four ounces every day of a yogurt containing B. lactis (but not the DN-173 010 subtype) did not take fewer sick days from daycare compared with kids who ate a yogurt lacking this bacteria. And a 2011 study funded by Dannon found that eating Activia twice a day did not help constipated kids poop more frequently. Bottom line is this: There’s good reason to be excited about probiotics, but when it comes to details, there are still more questions than answers. And even when we do get better answers, it’ll be a long time before we start seeing clearly labeled probiotics on store shelves that explain what they can treat and at what doses. Supplement companies can’t engage in this kind of marketing without conducting rigorous clinical testing first—the prohibitively expensive process pharmaceutical companies go through for their drugs. Nevertheless, if you want to try to hunt down details on which probiotics might help your kids in specific situations, start by looking at the details presented in Table 1 of this recent consensus opinion paper published in the Journal of Clinical Gastroenterology. I’m not yet ready to give my kids probiotics as a general preventive measure, but I might stock up in advance of the family’s next bout of stomach flu, which will inevitably happen sooner than I expect—and last at least 25 hours too long.